Southern University at New Orleans (SUNO) was founded as a branch unit of Southern University and Agricultural & Mechanical College in Baton Rouge (SUBR) on September 4, 1956. 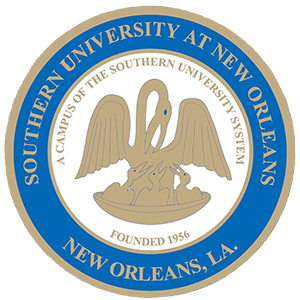 Southern University at New Orleans has been providing accessible and high quality educational options for the Greater New Orleans area for nearly 60 years. The only thing that is constant in today's world is change, and Southern University at New Orleans is once again growing. Still, faculty, administration and the staff of this great University all strive to give students a caring place to succeed. SUNO Athletics teams are proud to have earned 7 National Championships, 13 Conference Championships, more than 200 All-Americans, and 6 Olympians.